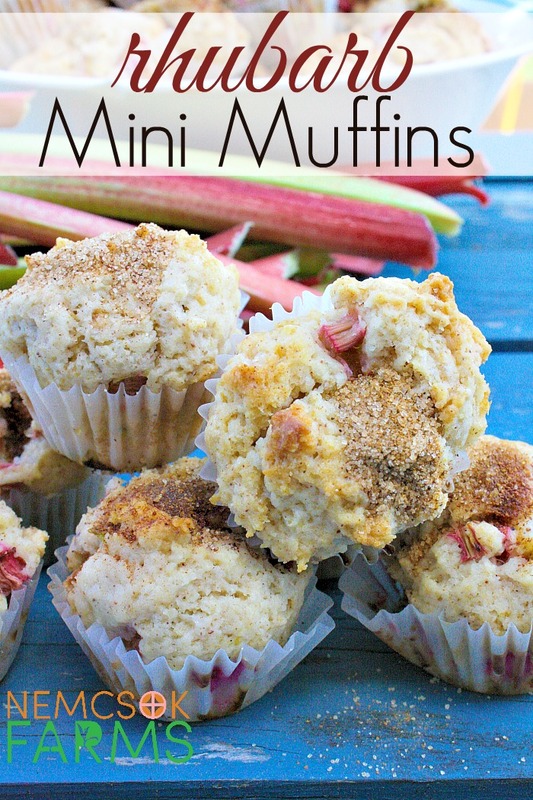 These Rhubarb Mini Muffins are always great for snacks and lunches – plus – the cinnamon sugar topping make these mouth watering! Rhubarb is one of the easiest vegetables to grow ever. 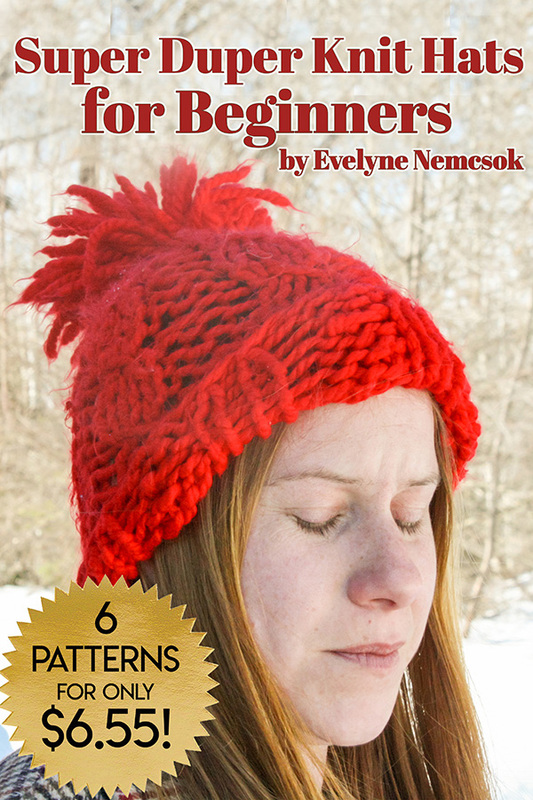 It made my list of 7 Easy to grow Veggies, and I told you a little bit about caring for the plant during Rhubarb Season. What I may not have mentioned yet, is that you can quite a lot of rhubarb from one plant, and with rhubarb a little goes a long way. You can freeze rhubarb to keep it for baking through the winter, and you can also can it it many ways; as a syrup, a jam, and a sauce. 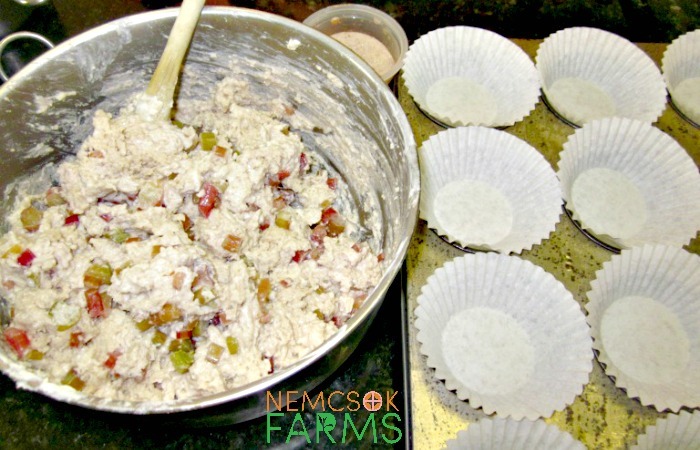 These tasty sweet little muffins are a favourite here, and the the crumbly sugary top is tasty enough for a light dessert, and satisfying enough for a great snack. They are also wonderful with coffee at breakfast. And you’re wondering about that problem I mentioned earlier? Well, I eat them like potato chips. 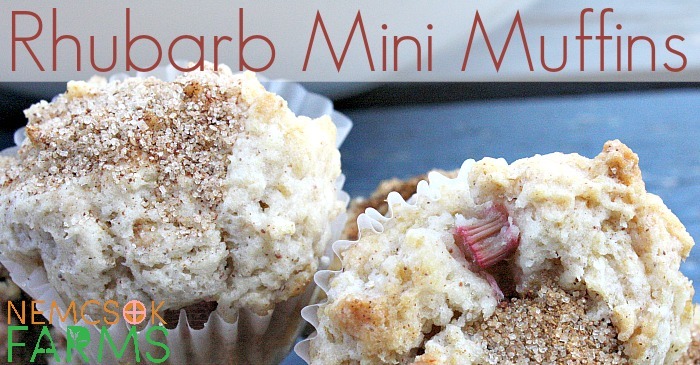 A mini muffin perfect for snack time, a light dessert, or even breakfast! Make cinnamon sugar by mixing 1/2 cup sugar with 2 tbsp. on ground cinnamon - too easy! See our other great recipes for rhubarb, like this perfectly sweet and tart pie, and we pair it with strawberries again in our infamous jam.